OK you are seriously AMAZING !! Awesome! Definitely going in my blog's art gallery. 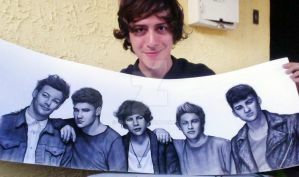 Wow....this is probably one of the best 1D drawings I have ever seen! They look exactly like they do in real life. Great work!! this is great!!! I don't even like them but this picture is amazing! wow,this is amazing!i watched this on your youtube channel and i was blown away,you really inspire me to try and do my best to draw!so keep on drawing i love all of them! 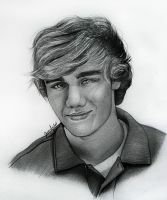 I love your all drawings!And this one is the most awesome!!! I saw you on youtube haha! You're amazing!! wow. 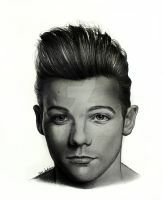 fantastic and amazayn. what paper do u used? wow! that is so fantastic!!!!! CAN'T SAY I WORD.Oh I just did..No I typed it . SORRY IT WAS ..
Yees! One direction! 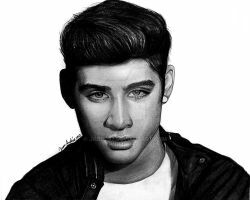 AmaZAYN drawing! 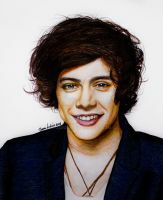 One direction isn't my favourite group, but this drawing is one of my favourite drawing! I love your individual drawing style! And I love the shading and how you draw the textures on the clothes! Best one i've seen on here yet. that is so awesome! 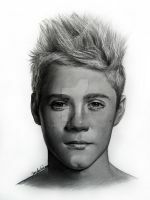 I watched the youtube video of this drawing and omg it's just amazing. I never used toilet paper to smudge the shadows. I'm gonna use that for my next drawing. But seriously. This is amazing! I always use a grid to get the perspective right an all and you just start with Louis like there's no tomorrow and end with Zayn and it all looks so good and the clothes and just...I can't! love the texture of the clothes!! I love this to bits! I can't get over how much fine details you've put into this. Remarkable! 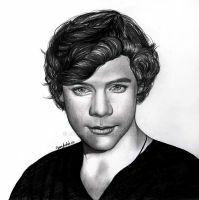 I also saw your speed drawing, and I love the editing too (It could be an official 1D vid )! You used After Effects, right?